Using a petrol powered hand saw has a range of applications. 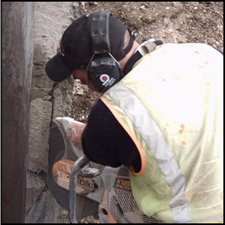 Hand saw cuts can be made to both vertical and horizontal concrete surfaces. Do you need an opening cut for a door or window? 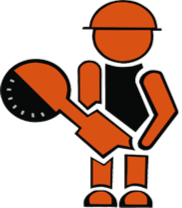 Do you need a chase cut for the laying of plumbing or electrical services? Do you have a small amount of expansion or decorative cutting? Do you have concrete that needs to be cut for removal? Our professional concrete cutters, equipped with high powered petrol hand saws are available to help you achieve your project goals. Sharp Concrete Cutters and Drillers Ltd use both Stihl and Husqvarna petrol powered cut off saws. A petrol handsaw has a range of applications including cutting openings for doors and windows, chase cutting, expansion cutting, and cutting for removal.